everyone’s senses as they listen to this album. All of the songs on Haiku have single word titles that characterize emotions or actions that each of us will have had experienced during our lifetimes and can quickly identify with. Doug’s playing on Haiku epitomizes the concept of expressing a single emotion in each song and it is a tribute to Doug’s compositional skills that allows him to distill what would ordinarily be very complex subjects down to their simplest forms. Doug then translates that into compositions that best express those emotions within a relatively short piece of music which is probably a lot harder than the listener might realize. Each of the 15 songs that make up Haiku are filled with rich sentiments that Doug has used to paint serene soundscapes where the listener can rediscover or reconnect to emotions in their own lives that will be stirred and sparked to life by these introspective musical haiku's. Doug’s playing oftentimes is very delicate and each note speaks volumes about the emotions that Doug has imbued the composition with and I applaud him for being able to say so much with so little. It is a musical gift indeed. Haiku is a relaxing journey that will have the listener appreciating the insightful melodies that Doug has chosen to be on this project while at the same time allowing the listener to find themselves opening up some doors of their own to examine the contents of long forgotten rooms in their minds with fresh eyes while Doug’s music wafts in and out of their consciousness. Music is much more powerful than people give it credit for and those who compose music know that better than anyone else. The recording on Haiku is top notch and allows the music to speak for itself in all its purity and clarity without the distractions of poor recording techniques clouding the landscape. Haiku is a sonic delight and Doug’s playing has an organic feel to it and is wrapped in blanket of new age sensitivity that gives it an intimate friend communicating with friend feeling as you listen. With collections of music like this it is always hard to pick individual songs that have struck me as standouts but there were a few that I felt a special connection to including Flight, Sway and Rise. Each of these songs represented to me different aspects of what a listener will find on this album from the lifting feel of Flight as your feelings are given wings to soar, to Sway which gives you a melody that makes you want to gently move to memories of happy times and Rise which conjures feelings of reflection on a life that has been lived to the fullest from a point looking back with fondness on what has been. Haiku ends with a song called Neverending and it is indeed a fitting song to close out an album of music that looks at slices of life in the form of short memorable melodies and simple songs. The title alone suggests that even though the album is now ending and the last song will soon be over the emotions and ideas that Haiku represents go on for as long as you walk upon this earth. The album may come to an end but the journey will continue on for as long as it was meant to be. 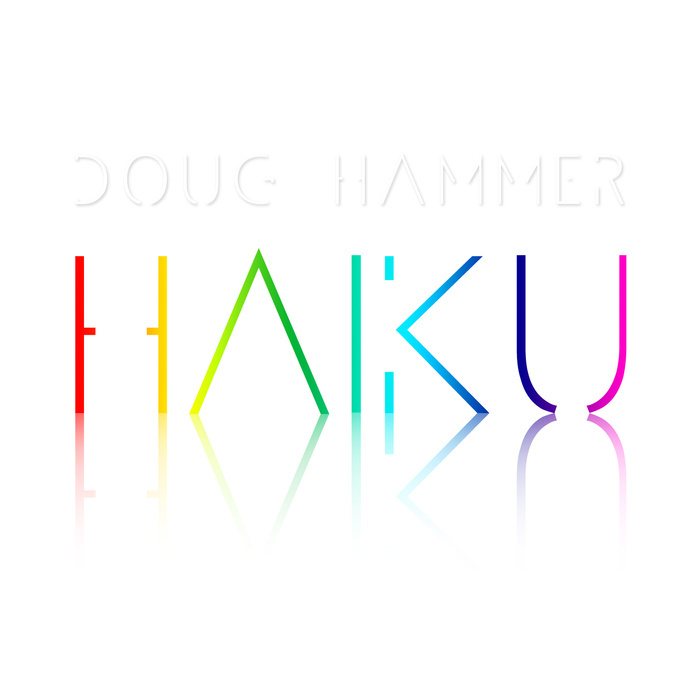 Doug Hammer is a highly talented musician and it is releases like Haiku that reinforce in our minds just what the power of a good song has in the lives of those who listen to music along our life’s path. Definitely recommended by Ambient Visions. 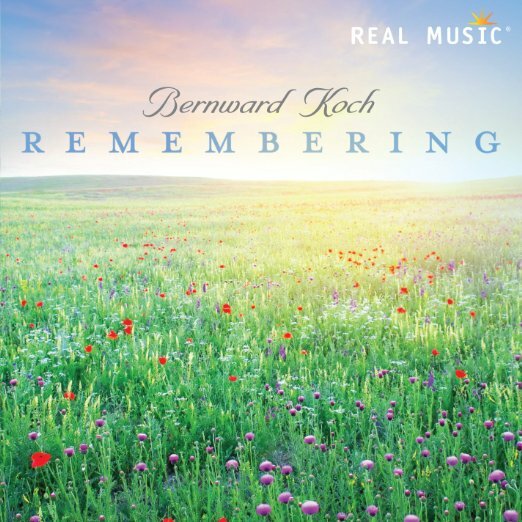 Bernward Koch has been a great artist for Real Music since he signed with the label way back in 1998 and he has created 6 wonderful albums since becoming part of the label. Remembering will be Bernward’s seventh effort for Real Music and once again his music resonates with feelings and emotions that Bernward permeates each of his compositions with. As a classically trained artist he is able to compose music that is well structured and filled with the precision of working with that genre of music but his many years spent writing and creating music that touches the hearts of listeners all around the world has opened up his compositional skills to new levels of depth that he seems more than willing to share with the listeners of each of his Real Music albums done over the years. Remembering is a reassuring journey into the very essence of what makes each of us unique individuals who are one of kind human beings. The fact that each of us shares the experience of being a unique individual is actually what makes the music you will find on Remembering something that each of us will recognize as something that we share with other human beings but at the same time completely original to our experiences of the world. The music on Remembering is very reflective and insightful and leads us down a path in our own soul that allows us to explore those distinctive aspects of our lives as brought to the surface through Bernward’s sensitive compositions and his skillful playing. Remembering consists of 13 marvelous compositions that run for 63 minutes and immerses the listener in memorable melodies that create a gentle and comfortable atmosphere that allows our memories to rise to the surface and flow into our consciousness so they can be “remembered” which considering the title of this album is exactly the effect that Bernward was shooting for as he worked on this music. Bernward has chosen to use a simple selection of instruments which includes piano, keyboards, flute and some very light percussion to add just a bit of highlights here and there. One can imagine from the titles of the tracks alone how they represent some of the memories that we all have tucked away in our hearts and minds. My Secret, First Flowers, Carefree Sunday, and Longing for Night in Summer are only a few of the songs that the listener will find on this album that inevitably will remind them of the joys of life and how those experiences never really leave us because they live on as memories so that we can bring them out again when some warm thoughts are required to brighten up our days. Bernward’s music is light and airy for the most part filled with sunshine but Remembering also includes some thoughtful songs that lend themselves to more introspection and pondering the ebbs and flows of our lives. It is obvious that Bernward has mastered his instrument and is able to translate his sentiments and feelings into compositions that inspire those same kinds of feelings in his listeners. Bernward is a highly talented composer and musician and Remembering is a shining example of his artistry and dedication to creating music that is not only enjoyable to listen to but also allows the listener to use it for more than just an entertaining experience. The sound quality is impeccable and this album certainly lives up to the standards that he has achieved through his previous releases for Real Music. One of my favorite songs on this album is called Time of Innocence and does indeed evoke that sense of time in our lives before the cares of life made it difficult to remember back to a period before everything became so complicated. It is the perfect example of what this album was meant to do in the mind of the listener. This is certainly an album that you would not go wrong in buying a copy of and exploring your own memories.